Note: This course may require additional symbol files. When you purchase the PDF book you additionally get its EPUB version and free named Software Diagnostics Library membership with access to more than 350 cross-referenced patterns of memory dump analysis, their classification, and more than 70 case studies. 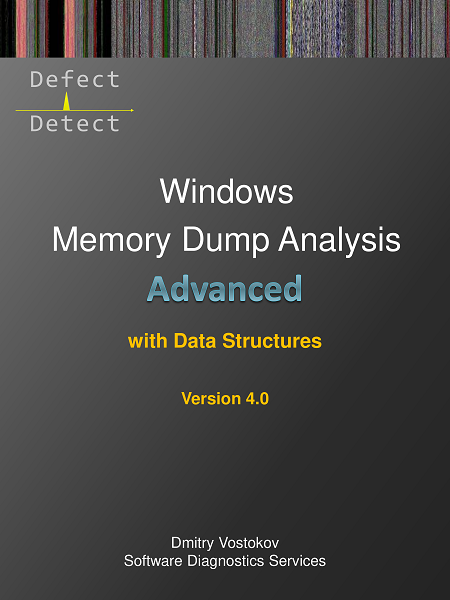 There is an option to buy 11 volumes of Memory Dump Analysis Anthology in PDF format together with the course. The training course also includes Practical Foundations of Windows Debugging, Disassembling, Reversing PDF book.